Srinagar, January 19 (KMS): In occupied Kashmir, the killing of an eight-year-old girl in Kathua on Friday sparked protests in Ramban district. Srinagar, January 19 (KMS): In occupied Kashmir, Hurriyat leader, Bilal Siddiqi, has deplored that India is committing brutalities on the innocent Kashmiris. Srinagar, January 19 (KMS): In occupied Kashmir, the Jammu and Kashmir Democratic Freedom Party (DFP) has paid glowing tributes to the martyrs of Gaw Kadal ahead of their martyrdom anniversary. New Delhi, January 19 (KMS): A Delhi court, today, extended till February 5 the judicial custody of Shahid Yousuf, the son of prominent freedom leader, Syed Salahuddin, arrested in a six-year-old fake case. Srinagar, January 19 (KMS): In occupied Kashmir, senior APHC leader and the President of Jammu and Kashmir Anjuman Shari Shain, Agha Syed Hassan Al-Moosvi Al-Safvi, has flayed India for welcoming Prime Minister of Israel, Benjamin Netanyahu in the country. 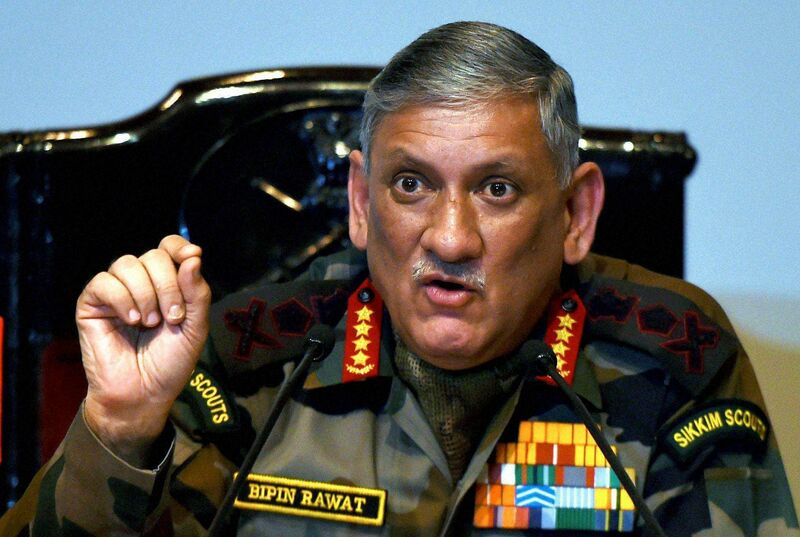 Srinagar, January 19 (KMS): In occupied Kashmir, the Jammu and Kashmir Democratic Freedom Party (DFP) and the Jammu and Kashmir Muslim League (JKML) have denounced the Indian Army Chief, General Bipin Rawat for his recent remarks on Kashmir. Srinagar, January 19 (KMS): In occupied Kashmir, the Jamaat-e-Islami (JI) has expressed concern over the plight of illegally detained Kashmiris languishing in different jails. The JI spokesman in a statement issued in Srinagar said that the political detainees in Udhampur Jail, Jammu, were being ill-treated and even deprived of medical and other basic amenities. Srinagar, January 19 (KMS): In occupied Kashmir, the Joint Resistance Leadership (JRL) comprising Syed Ali Gilani, Mirwaiz Umar Farooq and Muhammad Yasin Malik, has said that the Indian army chief, General Bipin Rawat’s recent statement on Kashmir is admission of the fact that Kashmir is under illegal occupation of India. Srinagar, January 19 (KMS): In occupied Kashmir, the Jammu and Kashmir Liberation Front-R (JKLF-R) has said that India is using National Investigation Agency (NIA) as a tool to harass the resistance leaders.